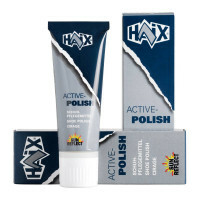 Product information "HAIX Dakota Low Black"
Landscape gardeners are often required to work outdoors in the pouring rain or in high temperatures. HAIX’s professional workwear is up to the challenge. A four-ply GORE-TEX® membrane prevents any moisture from penetrating into the shoe. At the same time, it expels warm and damp air. The high quality leather used in the manufacture of the Dakota Low Black is also waterproof and highly breathable. Activities such as mowing grass in the summer can soon bring your feet out in a sweat. 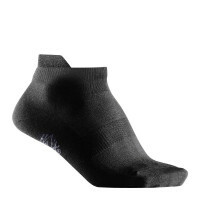 A fleece insole and an anatomically formed inlay offer reliable assistance with the absorption of moisture. A special lining around the cuff of the Dakota Low Black also helps expel any residual dampness. Your feet are guaranteed to remain dry. Strenuous work such as mowing, planting flower bulbs and paving creates high physical demands. For this reason, you need professional footwear which does not add to the strain placed on your joints as you walk along. An impact-absorbing PU (polyurethane) wedge integrated into the sole cushions your steps and reduces pressure on the muscles. The HAIX Dakota Low Black features a waterproof sole manufactured in rubber and PU which prevents any water from penetrating the shoe. Your feet will remain dry whilst undertaking tasks such as watering or working in wet grass. Gardeners cannot choose the weather and also need to work hard in the summer months. The leather used in the Dakota Low Black reflects the sun’s rays to prevent overheating. Your feet will stay pleasantly fresh and comfortable when you exert yourself by driving stakes into the ground or turning over flowerbeds. As well as being a superb workwear option, the Dakota Low Black has also proved its worth as a comfortable leisure shoe. Your feet will remain fresh and free of sweat, even on long hikes. The HAIX Dakota Low Black is manufactured in waterproof leather. This is a robust and highly breathable material. The black leather reflects sunlight to prevent overheating and ensures that it is less warm in your shoes. A classic lacing system enables you to adjust the shoe in order to obtain a perfect fit. The lining of the Dakota Low Black is made of abrasion-resistant fabric. A four-ply GORE-TEX® membrane provides water resistance and a high degree of breathability, whilst a fast-drying anatomically formed inlay reliably absorbs moisture. The inlay can be removed and washed if required. A fleece insole also absorbs dampness to make sure your feet feel comfortable whatever the season. Finally, a micro-dry lining around the cuff of the shoe also helps to expel heat. The outsole of the HAIX Dakota Low Black comprises a particularly hard-wearing mix of rubber and PU (polyurethane). This compound is also colour fast and will not leave any ugly black marks on light-coloured floors. The sole is also resistant against oil and petrol. A light impact-absorbing PU wedge cushions your steps, thus reducing pressure on the back and joints. The Dakota Low Black is the ideal shoe for both professional gardeners and for a wide range of leisure activities. It provides both protection and comfort as well as ensuring that liquids such as oil and petrol cannot come into contact with your feet. An integrated shock-absorption system also places less strain on your joints as you walk. 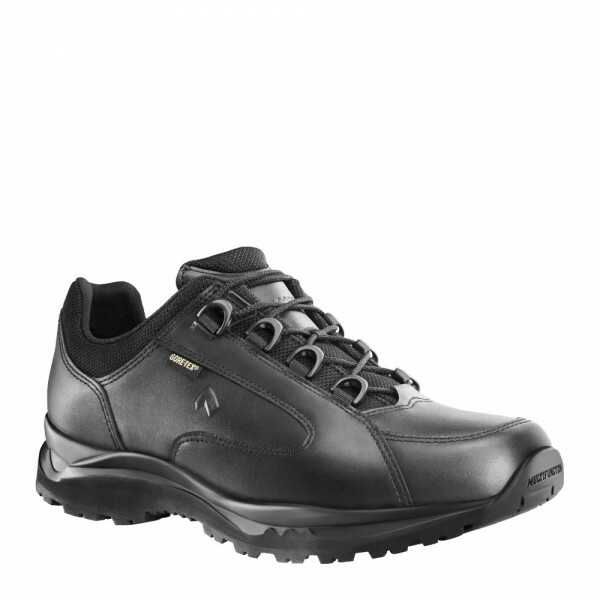 Order your new HAIX professional shoes now.